We went to Dubai for the weekend. The weekend in the Gulf is Friday and Saturday. This week’s chart is a big one consisting of motifs. 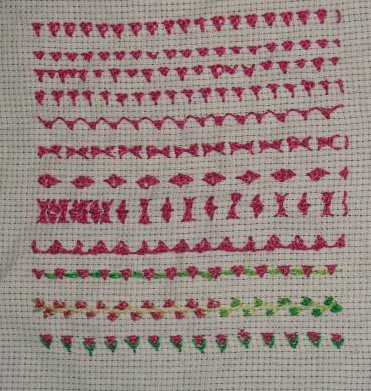 On Sunday, thinking it is better to stitch a grid similar to the chart to work these motifs. It took most of Sunday and Monday to do this. I have to start working on it from today. 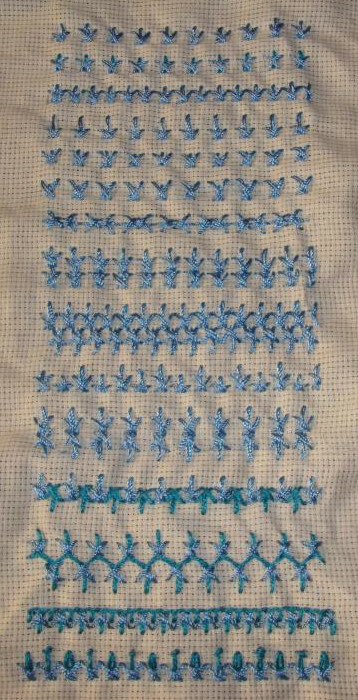 This week’s stitch on this challenge is raised cup stitch. 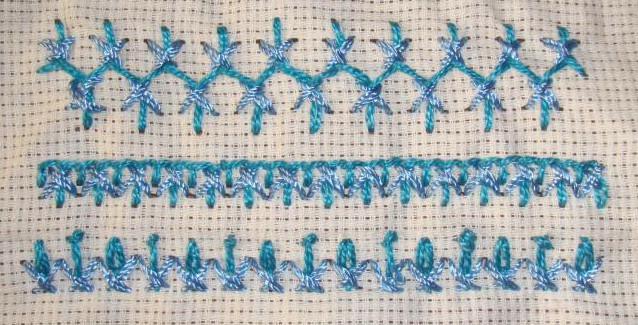 This stitch sampler was worked in the earlier challenge. The link to the post was posted on FB group page. 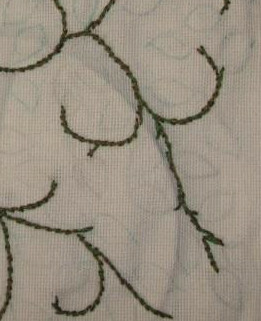 This week’s stitch on this challenge is Ermine stitch. 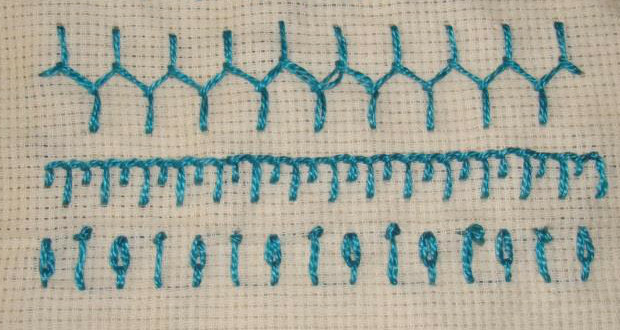 This stitch was never used before. 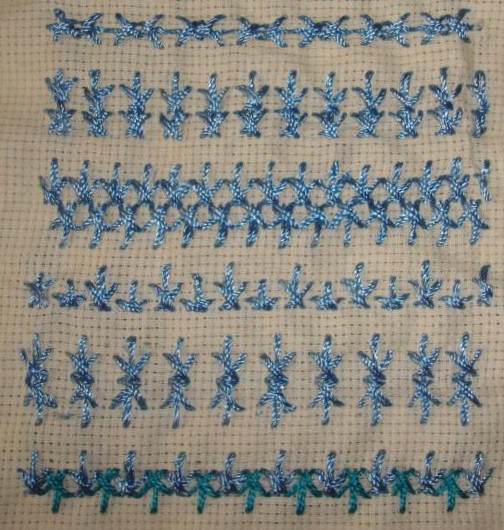 Looks like an easy stitch. This work might start after the RPW 2016 challenge. My friend wanted to learn mirror work and do it on a tunic. This idea and the project started a few months ago. She is leaving for holidays to India. 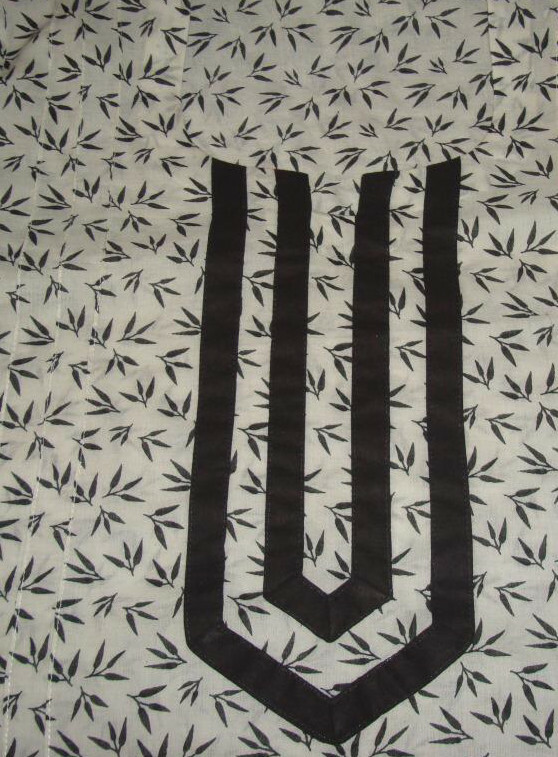 We started to work on this tunic which came back from the tailor on Sunday. Till yesterday evening I was working on it. It is completed now. This project is the only progress I have made this week. Still satisfied that it could be completed. I bought this calendar in Dubai. 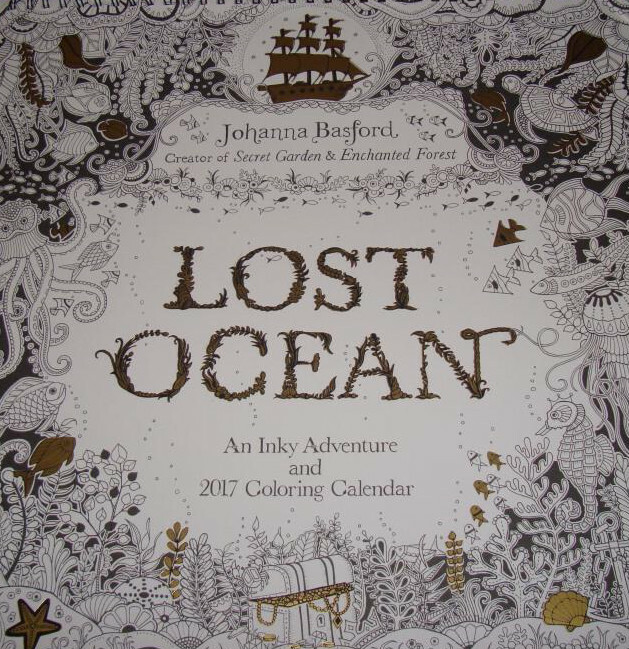 Months to be coloured!